Do you want to feel your best on your wedding day? Do you want to prevent dress fitting anxiety? Do you need more energy than ever to plan your wedding? Nutritional Counseling can help you achieve your goal weight and feel energized for the Big Day. Why not get the support you need?! You receive an initial consultation and 4 follow-ups for only $349 or individual sessions for $70!!! 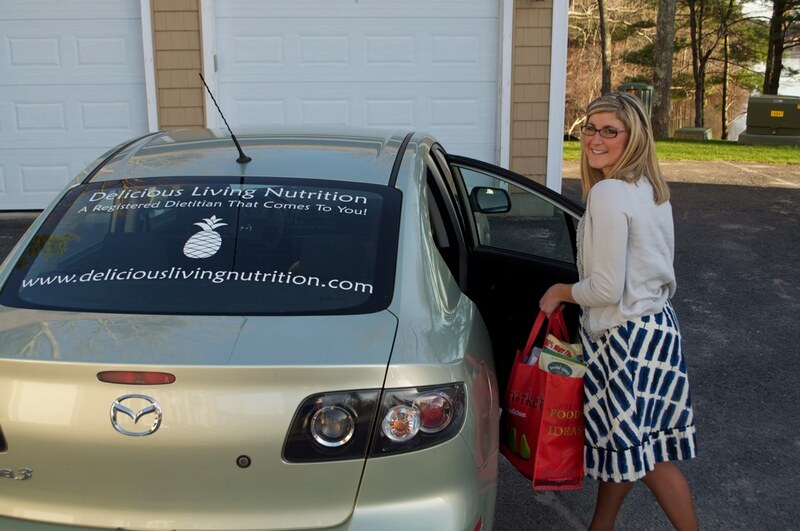 Nicole Cormier is a Registered Dietitian and owner of Delicious Living Nutrition. She is certified in Adult Weight Management from the American Dietetic Association. She is the author of The Everything Healthy College Cookbook and co-author of The Everything Juicing Book. Nicole offers to come into your home for nutritional counseling and works with you on your weight-loss/energy goals on a personal level. She can also provide group counseling. If you have 4 or more Brides, you receive a free session. -Most grocery stores, like Stop & Shop in the health food section or your local health food store.